2018 Kia Optima EX Ebony Black beige Leather. 24/34 City/Highway MPG Proudly Serving: Shelby. Gastonia, Charlotte, Asheville, Hickory, Stateville, Mathews, Rock Hill, Spartanburg, Lincolnton, and all of greater North Carolina and South Carolina. All prices are plus tax, tags and $699 Dealer Admin Fee. With Approved Credit. Not all buyers will qualify for all factory incentives, rebates and discounts. Dealer is not responsible for any errors stated on this vehicle's condition and/or price. 2015 Kia Optima EX Platinum Graphite beige Leather. 23/34 City/Highway MPG Awards: * 2015 IIHS Top Safety Pick * 2015 KBB.com 10 Best UberX Candidates Proudly Serving: Shelby. Gastonia, Charlotte, Asheville, Hickory, Stateville, Mathews, Rock Hill, Spartanburg, Lincolnton, and all of greater North Carolina and South Carolina. All prices are plus tax, tags and $699 Dealer Admin Fee. With Approved Credit. Not all buyers will qualify for all factory incentives, rebates and discounts. Dealer is not responsible for any errors stated on this vehicle's condition and/or price. 2010 Ford Mustang V6 Torch Red 18/26 City/Highway MPG Awards: * 2010 KBB.com Brand Image Awards Proudly Serving: Shelby. Gastonia, Charlotte, Asheville, Hickory, Stateville, Mathews, Rock Hill, Spartanburg, Lincolnton, and all of greater North Carolina and South Carolina. All prices are plus tax, tags and $699 Dealer Admin Fee. With Approved Credit. Not all buyers will qualify. Dealer is not responsible for any errors stated on this vehicle's condition and/or price. 2012 Acura TL 3.5 Crystal Black Pearl Parchment Leather. 20/29 City/Highway MPG Awards: * 2012 IIHS Top Safety Pick (built after Sept. 2011) *Insurance Institute for Highway Safety. Proudly Serving: Shelby. Gastonia, Charlotte, Asheville, Hickory, Stateville, Mathews, Rock Hill, Spartanburg, Lincolnton, and all of greater North Carolina and South Carolina. All prices are plus tax, tags and $699 Dealer Admin Fee. With Approved Credit. Not all buyers will qualify. Dealer is not responsible for any errors stated on this vehicle's condition and/or price. 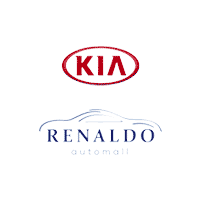 Exceptional used cars at affordable prices are available right now at Renaldo Kia in Shelby, NC, near Gastonia, NC and Gaffney, SC. Contact us today to find your perfect match or browse through hundreds of choices from a variety of manufacturers directly from our website. Whether you’re looking for a pre-owned SUV, sedan, hatchback, or something else, we’ll be able to find exactly what you need in our extensive inventory.